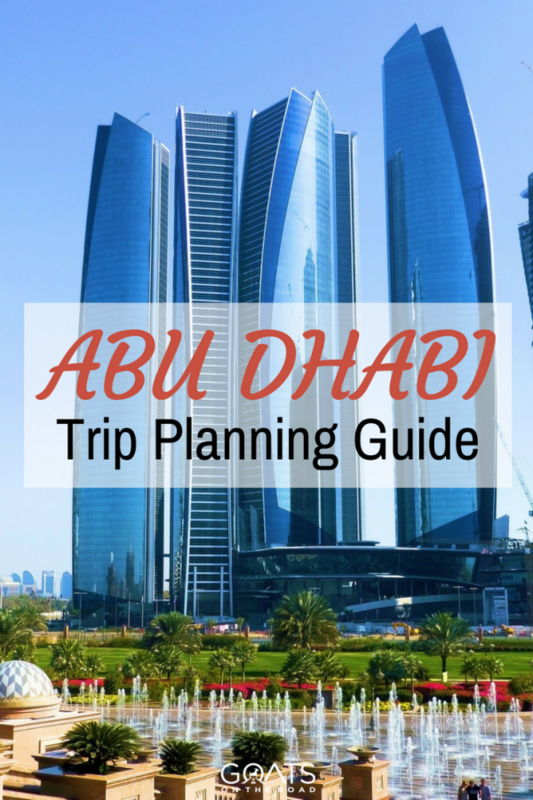 Planning an Abu Dhabi holiday can seem a bit daunting at first. There are simply so many things to see and do in this modern Emirates city, that it can feel almost impossible to see them all. But if you want to have the best Abu Dhabi holiday possible, you need to understand that you won’t be able to see everything! 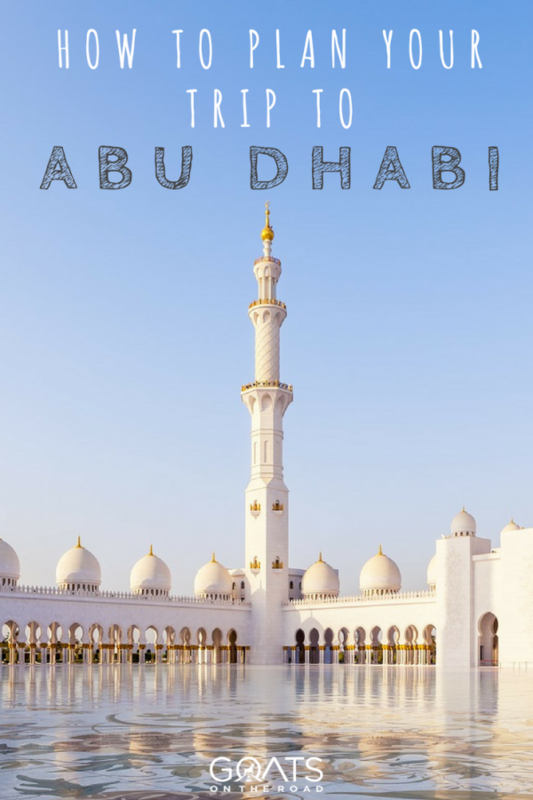 Using this guide, you’ll be able to tick off the top attractions in Abu Dhabi and find the best places to stay as well. You could quickly ruin an Abu Dhabi holiday by staying in the wrong area. You’re going to want to get around and see as many of the best sights quickly. If you have to commute 30 minutes into town every day, you’re not going to have time to see very much. Here are some of the main areas of the city. The Corniche is a lovely 9 Kilometre-long promenade that runs along the Dhow Harbour from the Mall World Trade Center down to the St.Regis Abu Dhabi. It’s the perfect place to catch a glimpse of the dramatic Abu Dhabi skyline. It’s also a good place to take part in some leisure and recreational activities on the beach or along the Corniche itself. There are quite a few hotels around the Corniche, most of which have beautiful views out over the harbour and over the promenade. Also known as TCA, this is where the real buzz is happening in Abu Dhabi and where many people choose to stay. If you want to experience the energy of the vibrant city, than you may want to plan to stay here during your Abu Dhabi holiday. There are quite a few hotel options here, as well as a selection of decent restaurants, fashion boutique stores, jewelery stores and shopping malls. Just north of here is where you’ll find the bustling port of Al Meena where you can visit traditional markets and beautiful souks. The 2500 hectare man-made island of Yas sits close to the Abu Dhabi airport. It is most famous for being the location of the Abu Dhabi F1 Grand Prix. This is where you’ll find the city’s finest restaurants and boutique stores, plus the island is known for having some of the best luxury hotels in the city. If you’re coming with a family, don’t worry because there are plenty of fun activities for kids as well. Check out the area’s theme parks like Yas Water World and Ferrari World. Perfect if you’re looking for an adrenaline packed Abu Dhabi holiday. The best part about visiting Abu Dhabi is the countless things to do in the city. Because I listed the three main areas to stay above, I’ll now list the top things to do in each of those areas. This will help you to plan what to see and do on your trip. Corniche Beach: If you want to laze on the beach a bit during your Abu Dhabi holiday, then this is the place! This massive stretch of sand extends all the way along the Corniche road. It connects the Hilton Hotel and Al Kheleej Al Arabi Street. The beach was awarded the coveted Blue Flag status. There is a cost to enter the beach though. It’s 10 AED ($2.70) per single person and 5 AED ($1.35) per member of family groups. This is actually very affordable compared to other private beaches in Abu Dhabi. You can also rent out a sun lounger for 25 AED ($6.80). Corniche Pedal Power: A great way to get some excercise on your Abu Dhabi Holiday is to pick up a bicycle. The Corniche area is great because there are quite a few bike rental shops in the area. The prices start at around AED 30 ($8) per hour for adults and AED 20 ($5) per hour for kids. Get Lost: This quirky area has some of the cities oldest buildings so the most interesting narrow streets and avenues. It is alive and busy with commotion 24 hours a day. Walking around and getting lost here is as close as you can get to the city’s history and heritage. Go Shopping: This area probably has the best shops. 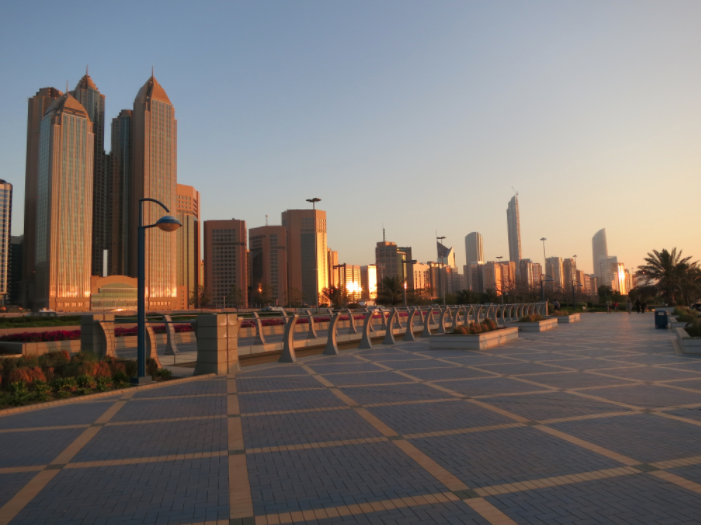 You’ll find international stores, small malls and also the Madinat Zayed Shopping Center. This is where you can pick up some brightly colored textiles and Arabian souvenirs. Also check out Abu Dhabi Mall for more familiar shops and fare. Yas Water World: As I mentioned earlier in this post, the Yas Water World has adrenalin-fueled waterslides & static surfing waves, plus shopping & dining. Ferrari World: Ferrari World Abu Dhabi is an enormous amusement park. It’s the first Ferrari-branded theme park in the world. It holds the record for the largest space frame structure ever built. If you want to get the heart pumping during your Abu Dhabi holiday, this is the place! Yas Beach: This beautiful beach club is well worth the entrance fee to get in. Enjoy the luxury of a wonderful restaurant, Friday barbecue meals and a lovely infinity pool overlooking the bay. 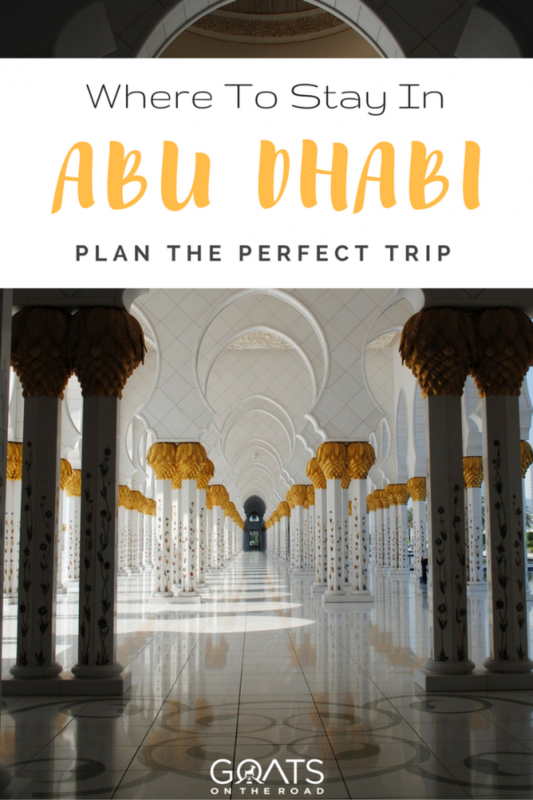 Now that you’ve figured out where to stay in Abu Dhabi and the best things to do in the city for your holiday, it’s time to just book a flight and go. This is one of the most vibrant cities in the United Arab Emirates. It’s jam-packed full of adrenaline activities and fun things to do for couples, families and single travellers. 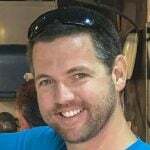 Sounds like you had a great trip and did not know this place as lots of wonderful thing to od. 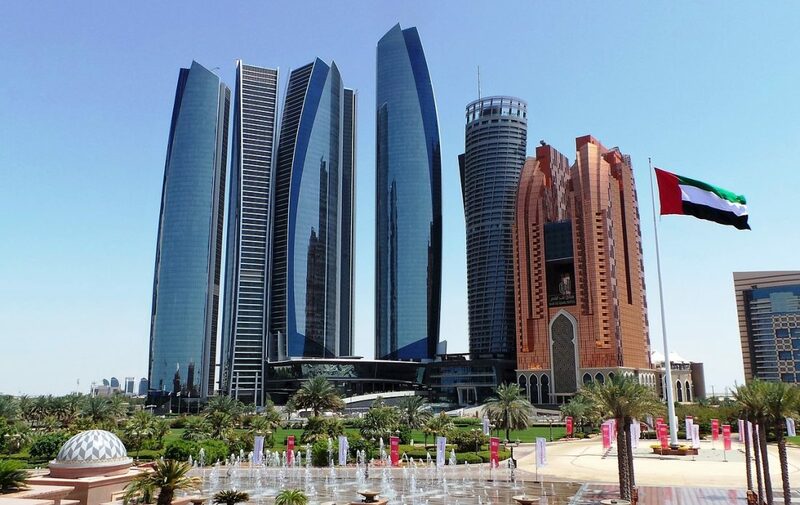 Abu Dhabi is a great please, it’s a must visit place for traveler.